After nearly three years of intensive rehabilitation, the Philippine eagle named ‘Pamana’ was released back into the wild on Friday. 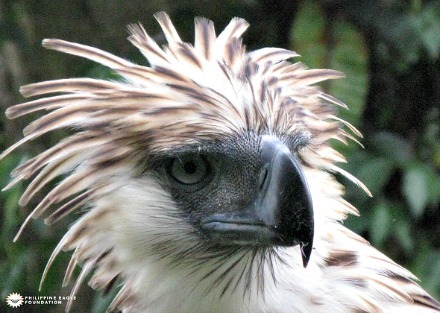 Led by the Philippine Eagle Foundation in partnership with the Provincial Government of Davao Oriental and other partners, the iconic raptor was freed at the buffer zone of the Mount Hamiguitan Range Wildlife Sanctuary in Brgy. La Union in San Isidro town. PEF Executive Director Dennis Salvador said they chose Mt. Hamiguitan as Pamana’s ‘forever home’ considering it is a sprawling protected area covering about 32,000 hectares of vast tropical forest. More importantly, he said, that while the area has been inscribed in the UNESCO World Heritage List, the site makes it even more ideal to become haven for the eagle without human disturbance. He added that the communities’ heightened level of awareness, the local wildlife protection enforcement as well as the commitment of the local government makes the site an ideal and safe home for the eagles. Governor Corazon N. Malanyaon welcomed the release of Pamana here as a new addition to the growing Philippine Eagle population soaring over the vast forests of the Mount Hamiguiitan. She said there are about 10 pairs of Philippine Eagle nesting in the forests of Davao Oriental. “The presence of the Philippine Eagle in practically all towns of the province is an indicator of the richness of biodiversity in the area,” she said. In terms of protection, the governor said that the local government is doing the necessary steps to scale up protection efforts by regulating the entry of people to the heritage site as well as strictly prohibiting mining and logging operations within the area. San Isidro Mayor Justina Yu said that communities surrounding the mountain range covered by her town are doing continuous and extensive awareness campaign not only to protect the mountain itself but to safeguard all flora and fauna thriving there. She said her town alone has 12 registered ‘bantay gubat’ or forest ranger who had also undergone training from the PEF. In addition, the locals are also actively supporting the local government’s cause of protecting their town’s natural heritage. Pamana is a female raptor that was rescued as an eaglet in the mountain range of Gabunan in Iligan City, Lanao del Norte after suffering two gunshot wounds. Now nursed back to health, the PEF said they are confident the eagle with thrive in her own. PEF said that since Pamana is not a native in the area, her release here is a good prospect for the local population of eagles since there will be a ‘maintenance of gene flow’ which otherwise can only be disrupted when eagles of same parents breed. To monitor Pamana’s reintegration to the wild and his movement patterns, the PEF installed satellite and radio transmitters to the eagle’s body. PEF said satellite transmitters allow them to monitor the bird remotely while radio transmitters let them track the bird and gauge how well it is adjusting to its new environment. The PEF said the release of Pamana in time for the 117th anniversary of Philippine Independence marks a symbolic and historic event for the Filipinos. PEF added that as the eagle represent resilience and hope that Filipinos inherently possess, Pamana’s release on this day not only drums up Filipino pride but also brings national attention for the protection of this critically endangered national bird. Johnson Ongking, Vice President of the Pacific Paint (Boysen)Phils, Inc. said this eagle aptly named Pamana or Heritage should ignite Filipinos desire to ensure that ‘we pass this natural heritage to the future generations’.